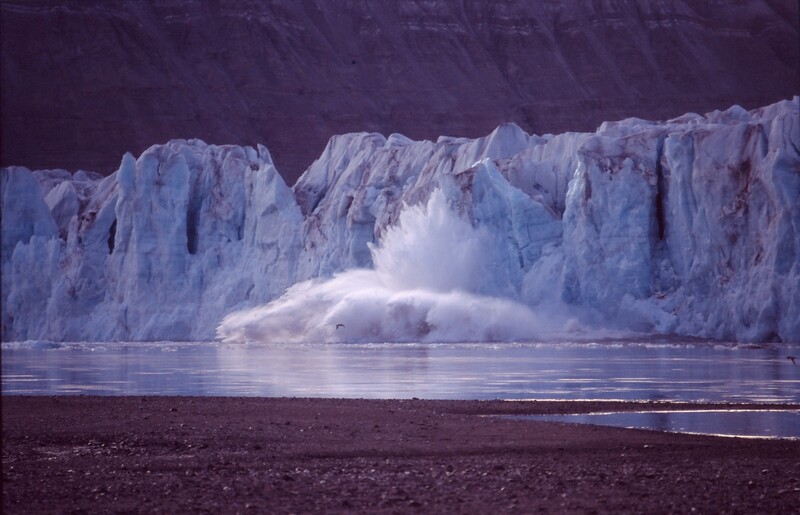 In August 2009 we investigated one of the most active glaciers on Spitzbergen for its calving activity. One morning I managed to take the presented image. It shows the water fountain that was caused by an eighty meter tall ice-tower clashing on the ocean. Impressed by this spectacle and realizing, that this ‘old giant’ has been sleeping for several centuries, just to be born within a few seconds made my entire skin turn into goose bumps. The essence of fascination!